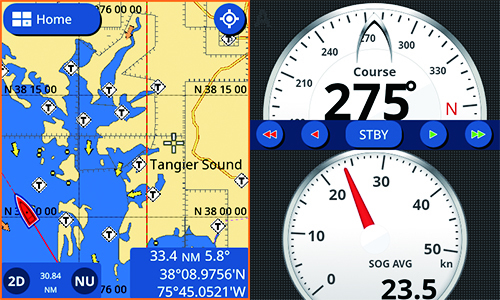 Convenient and intuitive slide-out menus: the DB-7 smart interface, inherited from the NavNet TZtouch2 features slide-out menus containing all the tools and data you need to be in total control. Display modes customisation: customise your display modes and create the perfect combination to fit your individual needs. Finger gestures: with the finger gestures (one or two fingers) you can either zoom-in, zoom-out, double tap to take a screenshot or even jump to a full-screen mode when using split-screen display mode. 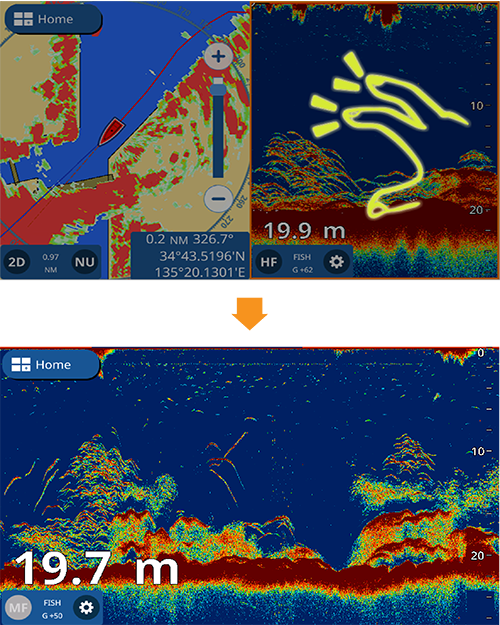 Detailed chart with C-MAP 4D compatibility: by using the incredibly rich C-MAP 4D charts, the DB-7 delivers highly precise data that features plenty of useful information, such as relief vectors, tidal streams and marine plans, considerably enhancing your navigational awareness. Autopilot Controls: via the CANbus network interface, the NAVpilot-300 and NAVpilot-711C can be connected to the DB-7 and controlled directly from the chartplotter. C-MAP C-Weather: C-Weather data can be downloaded from c-map.com providing wind, weather, humidity and temperature information. 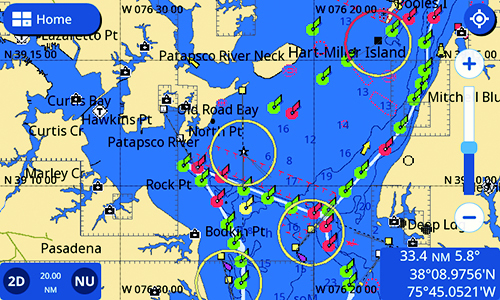 Plotter with AIS symbols: when connected to an AIS receiver, the DB-7 will display the latest AIS data and provide vessel information. Various display modes: including shaded reliefs, 3D and satellite views. 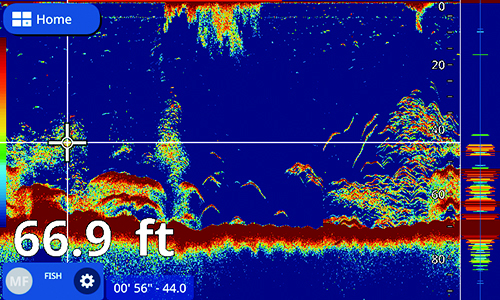 Unmatched detail with TruEcho CHIRP™: the high level of detail available with TruEcho CHIRP™ technology helps to distinguish fish schools, even when close to the seabed. Fish can be observed with a very high resolution and are displayed in a distinct boomerang shape. The clear presentation marks individual game fish and bait fish, even when tightly schooled together. 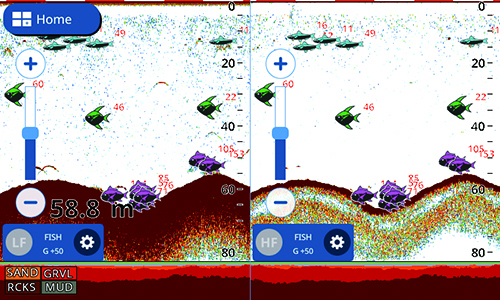 ACCU-FISH™ and Bottom Discrimination with RezBoost™: with Furuno's RezBoost™ data processing technology, fish schools and echoes are shown with high resolution while you can assess fish size and bottom composition thanks to ACCU-FISH™ and Bottom Discrimination functions. 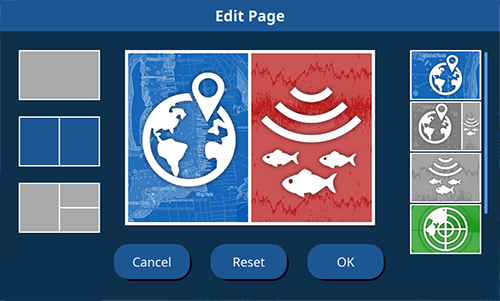 Additionally, ACCU-FISH™ icons and colors can be freely customised according to the size and depth of the targeted fish. 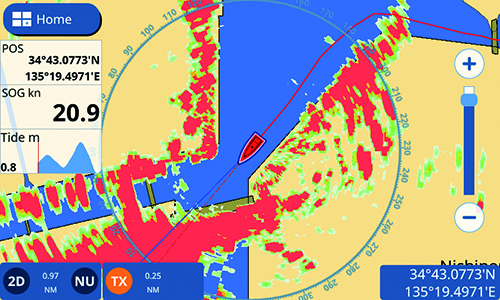 DRS4W 1st Watch Wireless Radar: the DB-7 is connectable to the 1st Watch Wireless Radar (output power 4kW) giving your chartplotter a major upgrade in accuracy and safety. A2K-RSK RIB starter kit - An ideal solution for RIB users that wish to install an 2000® network. 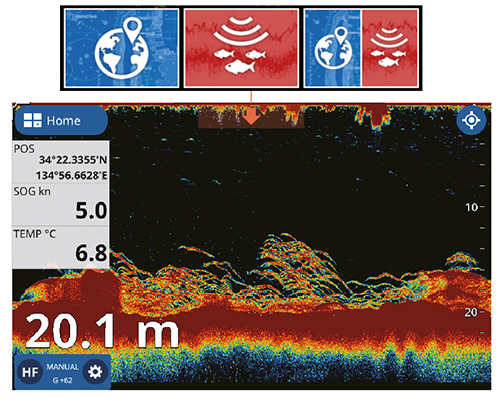 A2K-SBN 4 way small boat network - A complete NMEA 2000® backbone in a single device.